Fashionistas Daily .Com: Susan Boyle Is A Diamond In The Rough From UK Hit Show " Britains Got Talent "
Susan Boyle Is A Diamond In The Rough From UK Hit Show " Britains Got Talent "
It's been a while that something that really touched my heart so much it brought tears in my eyes ( well...I confess, I cried at the movie like "The Note Book" LOL), and this video clip I saw on you tube is the perfect example on how we should never judge a book by its cover! Who would have guessed that dowdy Miss Boyle, who says in the video that she’s never been married, never been kissed and lives with her cat Pebbles, went on stage to skeptical looks from the audience and judges. 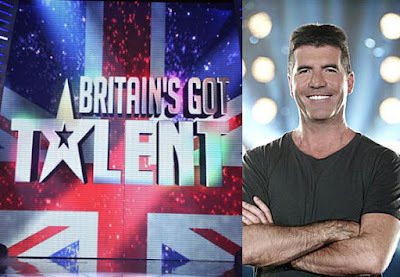 She then sang "I Dreamed A Dream" a song from Les Miserables would bring the house down on Simon cowell's UK hit show Britain’s Got Talent? Her rendition of "I Dreamed a Dream" brought tears to my eyes. Miss Boyle may live alone with her cat Pebbles (and I live with my pug Mei-Mei! nothing wrong with that! LOL), but she is so my hero!! What a remarkable and inspirational story this is. I must have watched the YouTubevideo 20 times! I just could not get enough of her beautiful, angelic voice. I wasn’t alone, because many people commented about how they had also watched over and over again. In a little over 4 days, the video on YouTube had over 12 million views! This is incredible. What does this say about the world we live in today? In our pop culture craze society, so slavishly obsessed with the "Packaging" ! the right face, the right clothes, the right attitudes, the right Facebook / MySpace posts, and the unpackaged artistic power of the un-styled, un-hip, un-kissed Miss Boyle restores our faith in the power of human grace. People are looking for an inspiration, some tiny hope that everyday common people can become more than they ever dreamed. 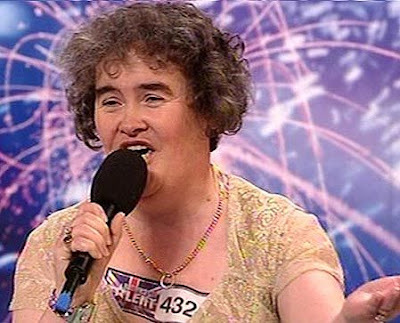 Susan Boyle…you are my inspiration and the inspiration of millions of others! This just proves that we can do anything we set our hearts and minds to achieve! YOU GO GURL !! MISS BOYLE!